Home How do I switch from Salesforce Classic to Lightning? How do I switch from Salesforce Classic to Lightning? Small, medium and large-sized enterprises have been acquiring progressive developments through insightful cloud solutions of Salesforce. Though this classic Salesforce platform is being successful, advanced technological updates added to it have given rise to innovative Lightning Platform. Now, the techie trend is popular with Salesforce lightning platform. So, institutes offering Salesforce training have been capturing this industry trend and preparing their candidates to learn the latest concepts of Salesforce lightning. 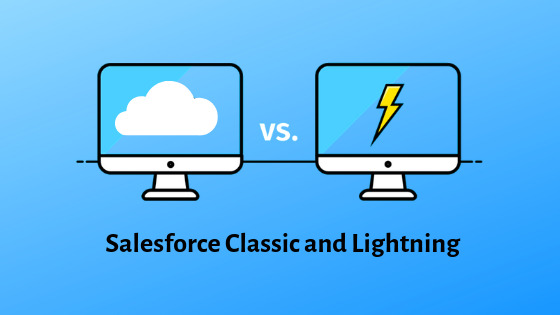 Let’s have a glance on Salesforce Classic and Lightning and how to switch to the Lightning Platform. Many have been used to accessing and managing the Salesforce Classic platform for getting effective CRM solutions. Organizations have been enjoying increased sales, enhanced customer satisfaction, improved communication or collaboration, increased profitability, gathered forecasts and made smarter decisions dealing with Salesforce Classic platform. Now, with the new technological features of Salesforce lightning, people have shifted to use it for enjoying new apps and services. The added cloud-based features with the lightning assure re-organization of contacts, leads, sales accounts, leads, opportunities, personal accounts and products. - Well, let’s know the specific features which are available only in Lightning. 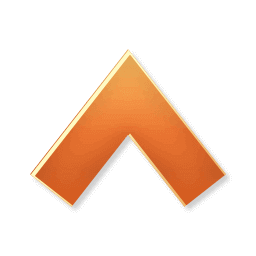 The Home Page itself is visually organized – performance charts and calendar features are also included along with other important deals. Any options can be selected with the visual designed objects in the data model. Sales reps need not waste their time – they can stay organized and get their data through simple searches easily. The development process in Salesforce lightning is made easier because of its graphical user interface, reusable components, and drag and drop features. Minimum coding is required for the development process – developers can deal with automated processes and workflows. Advanced artificial intelligence (AI) tool is added and provided as a product Salesforce Einstein – it helps to read the data, check the patterns, and give suggestions to the business teams. Composer windows and custom branding are the two key Lightning only features. Sales representatives can avoid the use of multiple browsers for performing various actions when using the composer windows of Lightning. Reports, dashboards and charts are enhanced – new designs can be introduced through reports, and dashboards are not restricted to three columns. Visually-appealing charts can be prepared. They are much more secure. Unlike Classic modes, Salesforce lightning enables mobile access – any user can operate their respective business processes easily through their mobile from anywhere. Sales reps can feed their data at any place through mobile and this will be put to the web automatically upon resumed connection. The specific feature called Kanban View is available through Lightning – it enables four key fields on an opportunity and this helps one to drag a record to the next stage. The tasks can be quickly created and you can directly relate the events to opportunities without leaving the view. Based on the opportunities, stage amounts can be recalculated in the real time. This can help you in viewing the updated information that is the workflow pipeline. How better is Salesforce Lightning? What do you need to do to move to Salesforce lightning? Based on the requirements of your project, you can move to Salesforce lightning. Primarily, in order to easily capture the right moment to use Lightning, the employees should be adapted to it – therefore, a proper plan is to be made – the employers should ensure that the staff is adept in Lightning skills. Analyze the state of your org and then decide if lightning is needed or not – check if the requirements can be fulfilled by the Classic features – if not you can go with Lightning. This is referred to as gap analysis. A successful migration to Salesforce lightning can be obtained by getting help from resources like your stakeholders and super users. They give suggestions to make you move in the right direction. Also, limited users can be moved to Lightning – if the customers’ demands of the projects include larger operations and dealings, then you can move many or all users to the advanced Lightning platform. Ensure that Lightning pilot creation can help you in using the resources successfully in the right way. If necessary, a training session can be conducted to make your employees know and understand the superb features available only in Lightning – this can boost their confidence levels and alert them to work for better productivity. Also, you can communicate with your customers about the Lightning usage, its features and working process that are used to fulfill their demands. Through internal marketing, you can educate the users about the advanced and interesting lightning features. This can create an excitement for the others to pursue them learning the lightning techniques – it will automatically increase the user adoption with the new experience. Therefore, consider the working necessities of your org, and then make a right choice to switch to Salesforce Lightning by a proper and effective planning. Be ready to boost your performance, sales and profits more through thundering features of Salesforce Lightning.